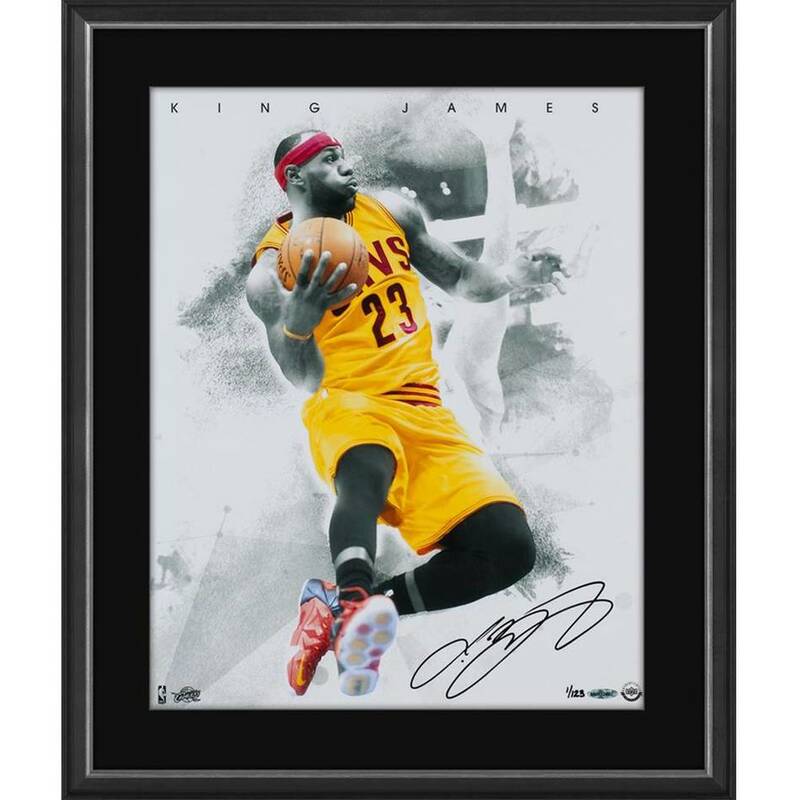 ‘King James’ as LeBron is often referred to as is the Cleveland Cavaliers franchise player. No matter whom he is on the court with, James gives the Cavs a chance with win. He dominates the game in many different ways that others just cannot do. This limited edition ‘Blow By’ 16" x 20" image shows an airborne James as he glides by his opponent. LeBron’s black signature is deemed authentic by virtue of UDA’s Five Step Authentication Process.